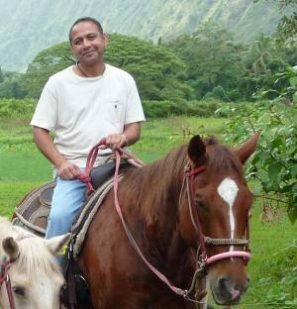 Meet Ehsan Khaleel, a committed staff member at FACE veterinary partner Plaza Boulevard Pet Hospital in National City. Ehsan has been with Plaza Boulevard for 8 years. When asked to name his favorite thing about working there, the answer is clear: “Helping the animals.” Ehsan loves working with both cats and dogs. When not at the hospital he enjoys coaching soccer. Ehsan has worked closely with FACE staff on many cases over the years. Ehsan describes FACE as a “lifeline” for pets. He notes the importance of patience and understanding when working with clients whose pets are experiencing a veterinary emergency. Ehsan’s most memorable FACE success story goes back 4 years to a dog that underwent both pyometra (uterine infection) surgery and also a splenectomy (spleen removal). He is an outspoken advocate for the families and pets that can most benefit from FACE’s help. “It’s a great resource for deserving pets and their owners,” he says. “However, please do not abuse it.” FACE thanks Ehsan Khaleel and everyone at Plaza Boulevard Pet Hospital for their dedicated service to clients and their animals.